Liars lie. As British Prime Minister Benjamin Disraeli said: “There are three kinds of lies: lies, damned lies, and statistics.” So when someone fluently and quickly and unabashedly spouts out a statistic, it has a certain panache to it. It must be true, he said it so convincingly. But the days of believing tripe are gone. Today’s lie that I will draw your attention to is this one: “Illegal immigrants are one-fifth less likely to commit a crime than native born Americans.” Huh? The speaker of that statistic was Enrique Morones on Fox’s Tucker Carlson show Wednesday night. When I heard that, I thought If that is true, then we should kick out all the Americans and keep the illegals, so that our law enforcement costs would plummet 80%. Alas, it is not true, no matter how glibly Mr. Morones’ lets it roll off his tongue. This column is not anti-legal immigrant. I am anti-blatant liar. When an advocate cites that number, they are lying. Mr. Morones isn’t the only advocate to use that statistic, it’s pretty common. I don’t believe they are helping their cause as surely no one believes them. The “1 versus 5” number is just too fantastical, it sounds like fake news. And it is. Here’s where they get their number from. The American Immigration Council, a pro-immigration group, did a study. They compared men they believed to be undocumented, between the age of 18 to 29 years old, who had been incarcerated (1.7%) to Americans incarcerated without a high school diploma (10.7%). There appeared to be insufficient data, such as sample size, region, proof of status and such to make that comparison, yet they did. Here we revert to Disraeli’s “damned lies” statement. It is such a preposterous comparison that it totally misstates any real value of the data. But if you want to mislead, it’s a great statistic because that gives you the 5 to 1 ratio of Americans being badder than undocumented aliens. Now, without skewing anything, just using FBI data, there were 115,717 murders in the U.S. from 2003-2009. 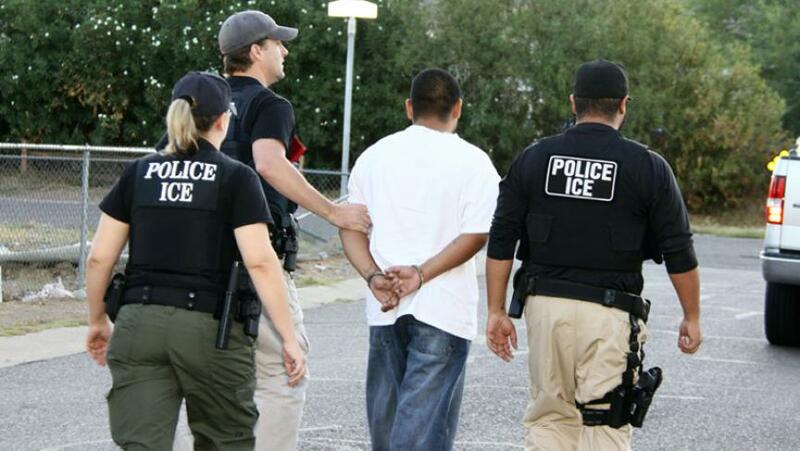 Criminal immigrants committed 25,064 of those, or 22%, said the FBI. Yet immigrants, legal or illegal, constitute approximately 3.5% of U.S. population. Three states with heavy immigrant populations belie that “1 versus 5” claim as well. California, per 100,000 people, has 92 illegal immigrants imprisoned versus native Americans and legal immigrants incarceration of 74. Arizona is 69 illegals incarcerated versus 54 native Americans and legal immigrants per 100,000. New York, 169 illegals in prison compared to only 48 citizens and legal residents per 100,000. Enough with the stats. Mr. Morones then cited a Cato Institute study to back up his statistic. Cato did a pretty good job on their study. Mr. Landgrave and Mr. Nowrasteh documented their findings well. Assuming their study to be true, illegal immigrants have an incarceration rate of about half as compared to citizen and legal immigrants. I can, as a former prosecutor, buy that. Many of those that are here “undocumented” do the best that they can to stay out of trouble. The Hispanic community also is very reluctant to call the police about crimes. So a 50% less likely to commit crime number, maybe that’s true. Maybe. But when you hear some dope say something stupid on television, like Americans are 5 to 1 more likely to commit crime than illegals, we used to believe it. Uncle Walter didn’t lie to us, did he? But now, every side has their favorite news channel that tells the truth and the other guys are all liars. And while I grant that you can pick your news, you can’t pick your facts and go unchallenged in this day and age. Uncle Kelly and 1,000,000 other bloggers are watching.